ARTICLE 7 (2) of the Constitution reads as follows: ”This Constitution is, as the solemn expression of the will of the people, the supreme law of the Republic . . .”. This 'will of the people ' needless to mention means 'will' not only of the present but also of the future population. The present parliament by incorporating Article 7B (making about 50 Articles unamendable) in the Constitution 15th Amendment Act has forever forbidden the any future expression of the people to be reflected in the Constitution. Question arises is Article 7B compatible with Article 7 which our Supreme Court in Anwar Hussain's case has declared to be a basic structure? The 15th Amendment was passed by a Parliament holding no greater power than any future Parliament. In curtailing the amendment power of future Parliament, the present Parliament acted like a Constituent Assembly, not as a Parliament equal in status and power with any future Parliament. This brings the question of inter-parliament equality into question and the question can or should the Parliament do so for merely having 2/3 majority. The respondents, who appeal fervently to democratic principles, urge that there is no limit to the powers of Parliament to amend the Constitution. Article 368 can itself be amended to make the Constitution completely flexible or extremely rigid and unamendable. If this is so, a political party with a two-third majority in Parliament for a few years could so amend the Constitution as to debar any other party from functioning, establish totalitarianism, enslave the people, and after having effected these purposes make the Constitution unamendable or extremely rigid. This would no doubt invite extra- Constitutional revolution (para 309). The judges of the Kesavananda Bharati case (1973) have rightly observed that extremely rigid constitution invites extra-constitutional revolution. Article 7B virtually makes the constitution extremely rigid as one third of the constitution stands unamendable. For implication of such amendment, Dicey may be quoted: “The twelve unamendable Constitutions (of France) have each lasted on an average for less than ten years, and have frequently perished by violence' (Dicey, Law of Constitution, 10th ed., p. 129)]. When a particular Constitution become rigid i.e., becomes unamendable, to suit the needs of the day, the only legal option that remains is to frame a new Constitution through a Constituent Assembly. Needless to mention, the present Parliament or any future Parliament has not that authority to do so. 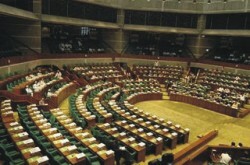 It may be emphasized that in view of Article 7B, for Bangladesh, Second Republic has become eminent because even if the present Parliament wants to incorporate right to social security or right to education as a fundamental right in Part III of the Constitution, this can be done as a result of new Article 7B. According to the new article 7B “. . . Part III . . . of the Constitution . . . shall not be amendable by way of insertion, modification, substitution, repeal or by any other means”. The words 'any other means' are of interest and of concern to note. Implications of Article 7A require serious consideration. It not only criminalizes the abrogation, repeal or suspension of the constitution by means of show of force or use of force or by any other unconstitutional means but also impliedly acknowledges that the constitution can unconstitutionally be abrogated, repealed and suspended. The words 'show of force' and 'unconstitutional means' are not only wide terms but are highly contestable. It provides arbitrary scope of bringing legitimate public discussion, debate, and even academic argument against the desirability of a constitutional change under the preview of 'unconstitutional means' should that be interpreted in that way. An 'unconstitutional means' is always subject to interpretation. Article 7A(3) prescribes just one punishment and thereby takes away sentencing discretion of the judiciary. Such a provision is against rule of law and separation of power between parliament and judiciary, both of which constitute basic structures of the constitution. A similar provision in the Penal Code (section 303) has been declared void in India (Mithu vs. State of Punjab, AIR 1983 SC 473). Very recently, our High Court has also invoked the same principle and struck down similar penal section of the Nari O Shishu Nirjatan Daman Ain 1995. There is a conflict between the Bengali and English text of Article 7B. From Bengali reading, it appears that the preamble and all articles of Part I, II, III and article 150 are the basic structure of the constitution; but the English text makes them unamendable but does not accord them the status of basic structure and terms them as basic provisions. Apart from these basic provisions which are unamendable, the English text specifies '. . . and the provisions of articles relating to basic structures . . . shall not be amendable . . .”. Now the question arises which text will prevail. We commonly hold the view that according to article 153 of the constitution the Bengali text shall prevail. But it is of interest to note that article 153 only refers to the original 1972 English and Bengali text of the Constitution “certified as such by the speaker of the Constituent Assembly” it does not specify about constitutional amendments nor does it generally specify that in the event of conflict of Bengali and English law, Bengali shall prevail. The proviso to article 153 which talks about authentication of 1972 constitution needs to be interpreted in the context of that article and not beyond.